Unnecessary exposure to the sun is probably the greatest threat to your skin. The ultraviolet rays from the sun cause the collagen and elastin to break down much faster, in turn, causing the skin to become loose, saggy and wrinkly. It deteriorates skin cell regeneration leading to more harmful effects on the skin. It is best to avoid as much overexposure to the sun as possible or to use a strong sunscreen or Skin Deva Vitamin C Serum and Vitamin C Prep to replenish harmed skin. Also avoiding exposure to the sun between 10:00 a.m. and 4:00 p.m. can be very helpful because the UV rays are at their peak in this time period. Repetitive facial movements cause the lower layers of skin to move under the ones on top. 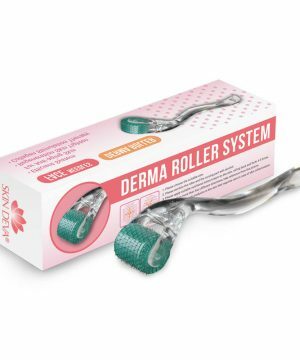 Constantly repeating any facial expression leads to fine lines being formed as the lower layers start losing their elasticity due to being under constant use and become worn out reducing elasticity. Doing facial exercises can greatly influence the facial lines. Possibly the only cause of extrinsic aging your powerless to prevent from happening. As gravity attracts everything downwards to its center your skin is no exception after years of being dragged down by gravity your skin’s elasticity finally gives out resulting in wrinkles and worn out saggy skin. Sleeping in the same position as your face every day causes the skin to be contracted for a long period of time every day. Slowly but surely this contraction will start becoming permanent and form wrinkles. Thus, it is highly recommended to sleep in a posture in which the sides of your face aren’t touching the pillow, sleeping on your stomach or your back faced down is a good idea. With a little self – control controlling extrinsic harm caused by smoking is the easiest. We have all many times in our life seen the old wrinkly appearance of avid smokers. This is because in smokes there are chemicals that break the chemical composition in our body speeding up the aging factor even more. This can be easily avoided by not smoking. 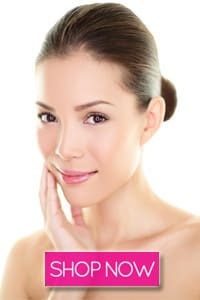 Luckily if you can’t manage to overcome these factors using Skin Deva Vitamin C Serum and Vitamin C Prep you can moisten and revitalize dead skin cells from deep under the skin making them last longer and healthier.